Wednesday, September 9th 2015 marks a significant milestone for Britain’s monarchy. It’s the day that Queen Elizabeth II become the longest ruling British monarch in history, breaking the record of her great grandmother Victoria. 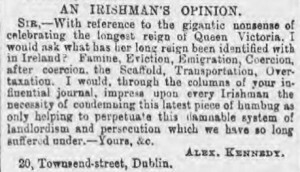 To commemorate this occasion, we’ve taken a look back on contemporary newspaper reactions to Victoria breaking the same record in 1897. A diamond jubilee was a brand new concept for the Victorian British, as no monarch had yet ruled for longer than 60 years, the closest being George III who ruled for 59. 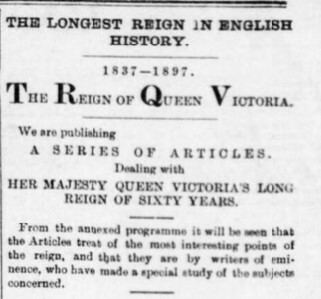 However, Victoria was still on the throne in 1896 having been crowned in 1837, and poised to become Britain’s longest ruler, planned to commemorate this with a grand public celebration on 6th July. Naturally, such an important piece of royal history attracted considerable attention, both positive and negative, and varied from a few column inches to full biographies of the queen’s reign. 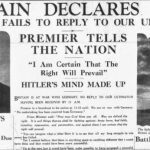 The West Briton and Cornwall Advertiser carried no fewer than 7 articles of this type, all of which can be read in the Archive. Queen Victoria’s reign was serialised over seven issues of the West Briton and Cornwall Advertiser in 1897. 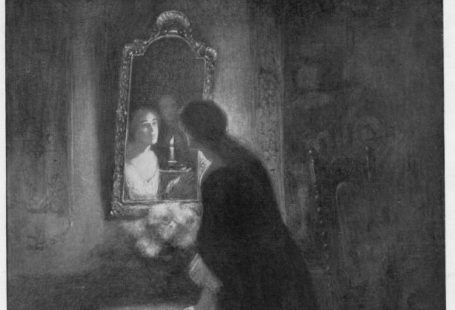 Image © THE BRITISH LIBRARY BOARD. ALL RIGHTS RESERVED. The official celebrations consisted of several elements, the largest being the procession that wended its way through London for 6 miles, for which most of the crowned heads of Europe assembled and representatives of the Army, Navy and Colonial forces took part. An article carried by the Edinburgh Evening News described the sheer scale of the planning that went into the procession. Edinburgh Evening News – Thursday 29 April 1897 Image © THE BRITISH LIBRARY BOARD. ALL RIGHTS RESERVED. 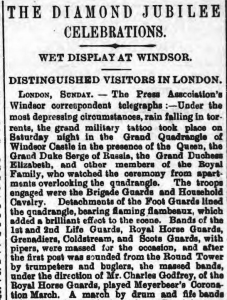 A display was also put on at Windsor, with rain proving no hindrance as the bands continued to play. 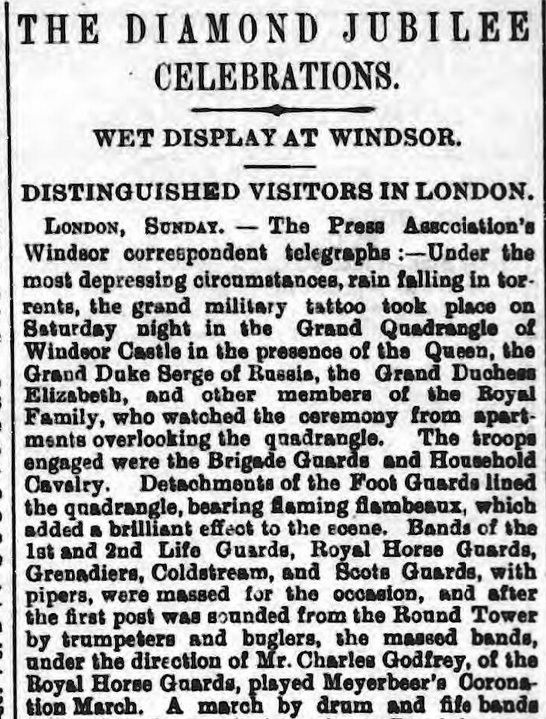 Celebrations at Windsor – Derry Journal – Monday 21 June 1897 Image © THE BRITISH LIBRARY BOARD. ALL RIGHTS RESERVED. 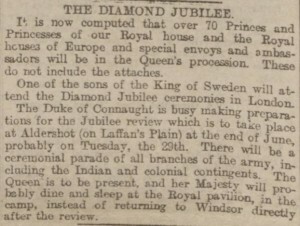 In addition to the official royal celebrations, local councils in Britain organised their own commemorations. These took many different forms, from official proclamations by councils to fireworks displays to entire days dedicated to festivities. 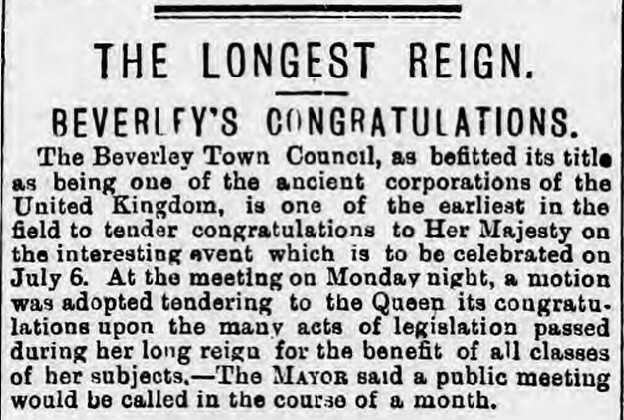 Beverley Council congratulated Queen Victoria in this short article in the Hull Daily Mail. 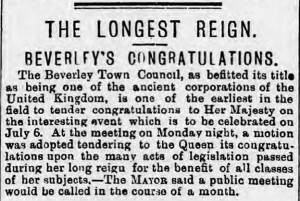 The Longest Reign – Hull Daily Mail – Tuesday 09 March 1897 Image © THE BRITISH LIBRARY BOARD. ALL RIGHTS RESERVED. 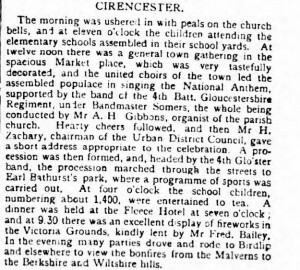 Cirencester chose to celebrate by dedicating a whole day to the festivities, like a lot of towns in Royal Berkshire as reported in this article in the Swindon Advertiser and North Wilts Chronicle. 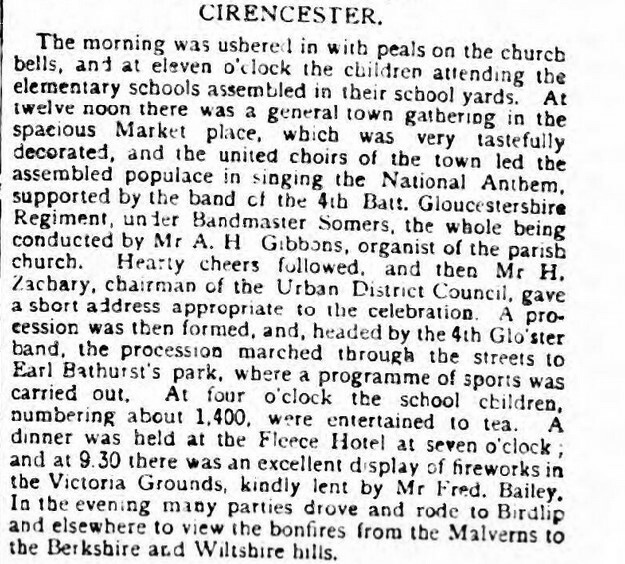 Cirencester celebrates – Swindon Advertiser and North Wilts Chronicle – Saturday 26 June 1897 Image © THE BRITISH LIBRARY BOARD. ALL RIGHTS RESERVED. Celebrations also took place all around the Empire. 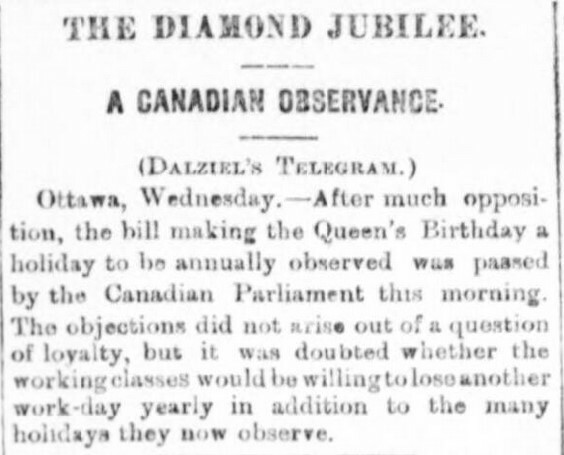 A telegram from a reporter in Ottawa appeared in the Aberdeen Journal, telling of the fight in the Canadian parliament to pass a bill giving workers time off yearly to celebrate the monarch’s birthday. 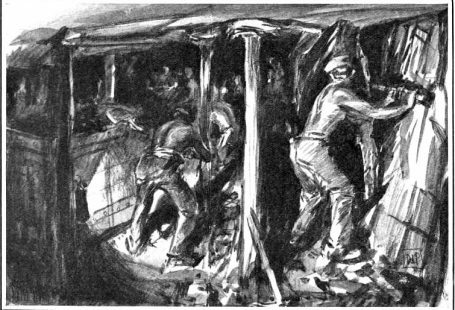 He says it was blocked not because of a lack of will to celebrate, but because politicians believed that the poor couldn’t afford another day off. 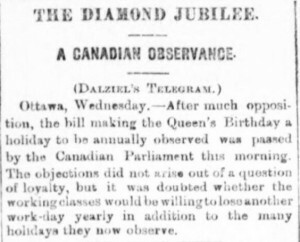 Queen’s Birthday Holiday in Canada – Aberdeen Journal – Thursday 06 May 1897 Image © THE BRITISH LIBRARY BOARD. ALL RIGHTS RESERVED. However, the reception was not totally positive. 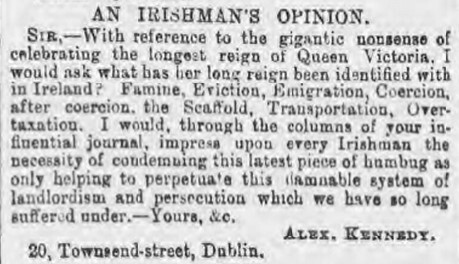 One letter sent into Reynold’s Newspaper in February of 1897 stated the writer’s opposition to the very idea of a monarchy, urging Irishmen to remember the tough time the Irish had endured during the Victorian age. 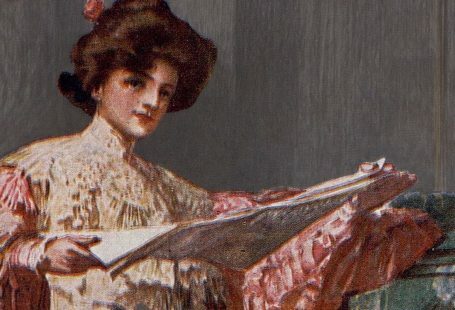 An Irishman’s opinion – Reynolds’s Newspaper – Sunday 14 February 1897 Image © THE BRITISH LIBRARY BOARD. ALL RIGHTS RESERVED. 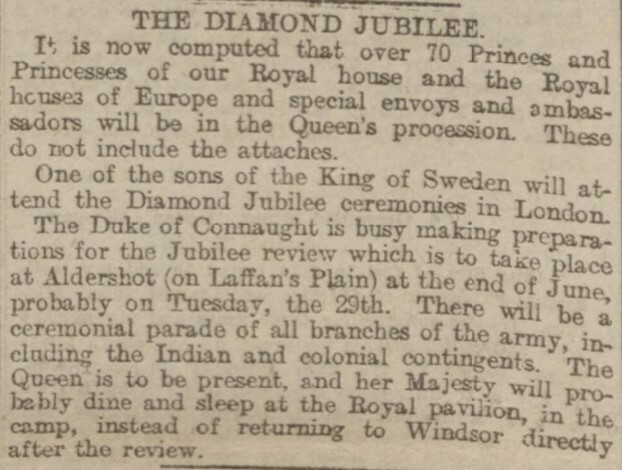 The celebrations surrounding Victoria’s Golden Jubilee and longest reigning monarch status attracted a great deal of press coverage. As we commemorate Elizabeth II’s breaking of this record, why not see what part your ancestors played in their commemorations, or what your town did to celebrate?